US stocks are at a ten-year high and we had have no bear markets. That the longest bull market in the history of the world. Maybe it's gonna go for 20 years, I don't know. I'm not smart enough but I know when it ends it's going to end very badly. Trade wars have never worked for anybody, they've always led to problems for everybody so it doesn't matter if he's right if he's gonna ruin us all. Yes, maybe we have problems but the problems are not because the Asians are evil. We have a horrible education system, we have a horrible litigation system. We spend more on medicine than anybody in the world by several factors but our life expectancy is not even the top 25. We have more basic problems than a bunch of evil Asians. Washington DC's the greatest risk. The central bank (the Federal Reserve) has no clue what it's doing and the others are following it. The government has no clue what it's doing... Trade wars. Do you think trade wars are good for anybody? History shows they're not so. Washington is the big risk right now. If you want to get rich you don't diversify. You put all your eggs in one basket and then you watch the basket very carefully. You got to make sure it's the right basket or you will go bankrupt but that's how you get rich. Henry Ford never diversified, Bill Gates never diversified. In the next few years, the American dollar is going to lose its position as the world’s reserve currency and the world’s medium of exchange. Jim talked about the prospects of a new bear market in stocks, what North Korea will look like in 20 years and also what can we expect from China going forward. Another topics included the current state of asian education and some of Jim’s secrets to successful investing. Commodities: "Get Yourself Some Sugar"
The Chinese technology stocks skyrocketed. Now they're having a reaction. They should have a reaction. Even American technology have reactions. They've got very, very overpriced. I wouldn't buy them, I would never buy them but I certainly wouldn't buy them now even in the reactions. The more hated the market, the better. NYSE stocks are making all-time highs. That does not excite me, making all-time lows is more exciting. I was just in Russia speaking of beaten down places. I couldn't believe I found the most wonderful investment everybody hates. I'm not gonna tell you the name yet because I'm buying it but. There are things out there that are beaten down. The US stock market is doing extremely well while most of the world is not doing very well for various reasons. Asia's doing better economically but in China they a got a lot of debt and it's coming home to roost right now. Japan has its own problems of debt coming home to roost right now. So the various problems in various places at the moment the US is the best market maybe not the best place to be but the best market. 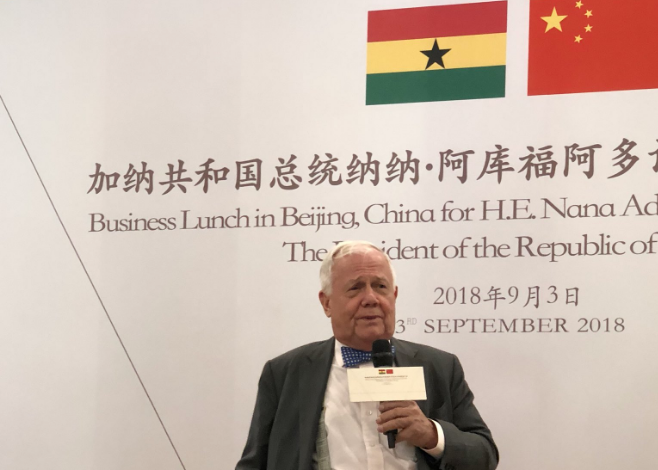 Jim Rogers talks with CNN about the current divergence between the US stock market and most of the world's stock markets including China, Europe and Asia-Pacific. Jim Rogers recent video interview with Financial Strategy. My first big mistake I made in the markets came from a triumph. I decided the stock market was going to collapse and so I bought puts with all my money. I tripled my money in five months and I thought this was easy, I thought "yeah, I'm really gonna be rich someday." So, I sold my puts on the day the market hit bottom, then the market rallied as I thought it would, I sold short and two months later I was wiped out. But the worst part is that every one of the companies I sold short went bankrupt within two years. but I lost everything first because I didn't know the market did strange things. Jim Rogers talks about global investing with Mark Skousen at the San Francisco Money Show. 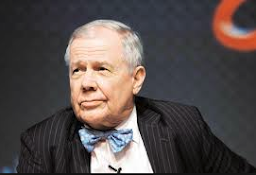 Jim Rogers: "Before This Is Over, Gold Might Turn Into A Bubble"
In a recent interview with the Daily Sabah, Jim Rogers explained why he considers investing in Turkish assets right now. Jim also cited the major risks that might affect the US stock market going forward. In a recent interview with TheStreet.com Jim Rogers talked about his outlook on gold and also about the prospects of investing in Zimbabwe. When asked about the U.S. stock market, Jim answered that valuations are overstretched, although stock prices could still climb higher on good news. Jim Rogers at a China Luncheon hosted for the President of Ghana in Beijing (September 3rd, 2018).